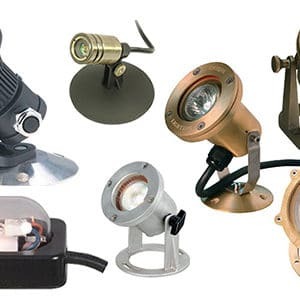 Up lights and spotlights are used to provide a beautiful & dramatic effect. 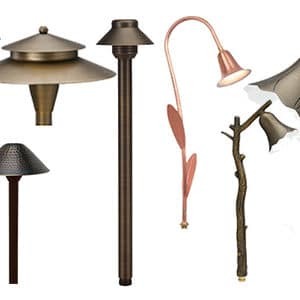 Depending on the placement of these outdoor lights, they create different effects such as highlighting trees and walkways or creating shadows and silhouettes. 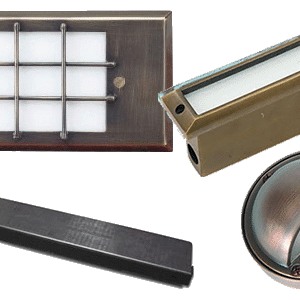 While step, wall and brick lights create delightful ambience, residential and commercial spaces also benefit from the safety they provide. 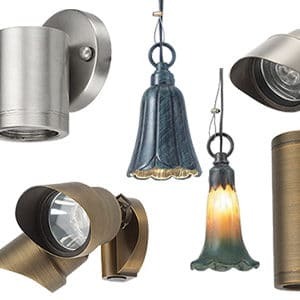 It is easy to provide lighting requirements in public areas such as patios and courtyards without sacrificing style. Down lighting is a technique that is often used to simulate natural light from the sun, moon and stars and create drama in a garden or landscape setting. It can be used on many types of surfaces including home exteriors, trees, patios or just about any overhead structure. 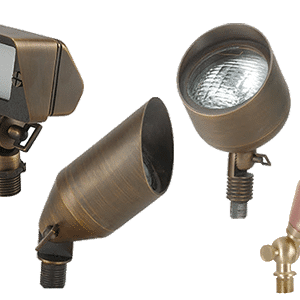 Bollard Lights are typically lights that are affixed to a short vertical post and used to illuminate walkways or pathways. The light radiates from the sides or top of the fixture. 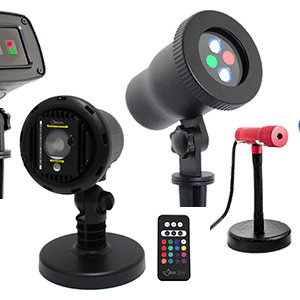 Laser lights are lightweight and compact, easily and instantly projecting points of brilliant color. 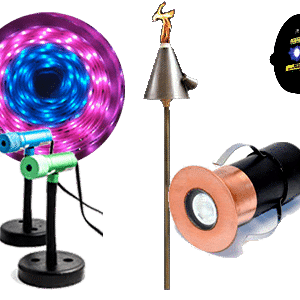 Just plug in your laser light and point it at any surface (except the sky if you're near an airport)!Save on electrical costs by using way less energy than traditional string lights.Laser lights are perfect for Christmas light decoration, DJ accessories, weddings, parties, pool, patio and garden. 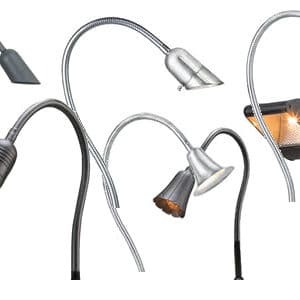 Bendable goose-neck flexible lighting fixtures allow you to adjust anytime and point light right where you need it. Don't burn that steak! 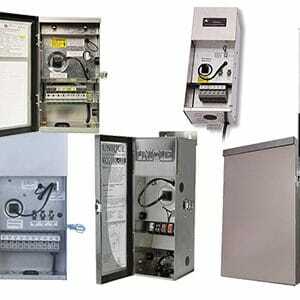 Save up to 90% in lighting energy costs! 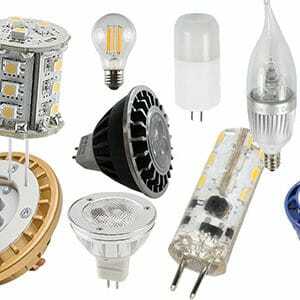 LEDs use only 1/10th the energy of traditional incandescent bulbs and half that of CFLs (compact flourescent - the spiral bulbs that contain dangerous mercury). 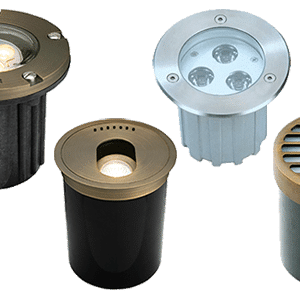 The latest LEDs produce great light quality with a range of color temperatures (bright daylight to soft warm light), are dimmable, and last for decades. Replacing a high-use standard bulb with an LED will pay for itself in the first year and save you hundreds over the life of the bulb!